Christiana Little has been cast as Countess von Cooties in the new musical Scheme of the Super Bullies, by Ross Wade, which will be presented Off-Broadway at the Marjorie S. Deane Little Theatre as part of the inaugural New York Children’s Theatre Festival, on Friday April 27, 2012 at 5:30pm and Saturday April 28 at 11am and 2pm. The creative team includes Jeremy Gold Kronenberg (director), Mila Henry (Music Director), Keith Ferguson (Lighting Designer), Ian Denio (Sound Designer), Walter Ryon (Set Designer), and Eve Rybnick (General Manager). Buy tickets on the New York Children’s Theatre Festival website, or by calling 866-811-4111. $18 per person, $15 for YMCA members. All festival tickets are available through Ovationtix. 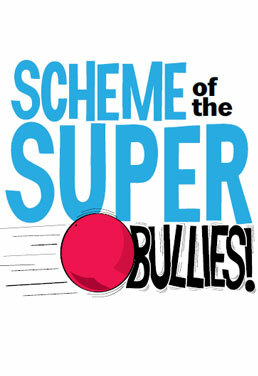 Scheme of the Super Bullies was one of only three new works chosen by a panel of over 30 industry professionals, including Kelvin Clash (the voice and hand behind Sesame Street’s “Elmo”), Cheryl Henson (President, The Henson Foundation), John Tartaglia (Emmy, Tony and Drama Desk Award nominated actor, producer, puppeteer), Thomas Schumacher (President, Disney Theatrical Productions), and Michael Jung (Vice President, Theatrical Development, Walt Disney Imagineering). Click here to read a complete press release on the festival and the performances. Watch an introduction to the show by writer and composer Ross Wade, and contribute to the show’s IndieGoGo campaign here. Christiana Little is now a proud member of the American Federation of Television and Radio Artists. 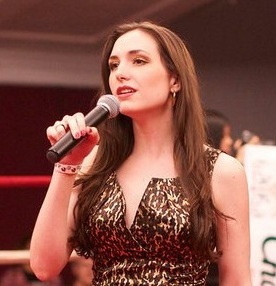 In addition to Christiana’s theatrical and musical skills, she is an experienced voice over artist. She looks forward to the new opportunities that her membership in AFTRA will facilitate. 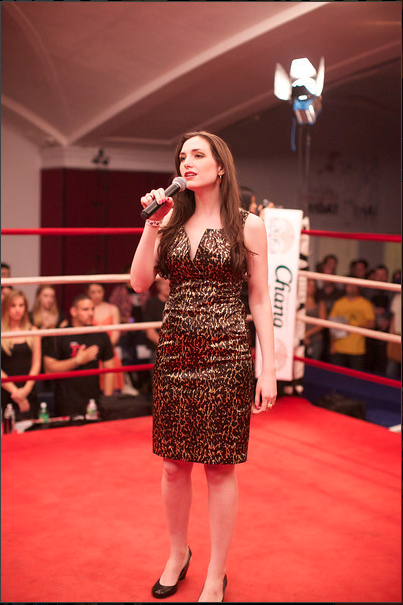 Christiana Little is slated to perform at the Upright Citizens Brigade Theatre on February 26th, 2012 at 12:15pm. The improv showcase will be part of her graduation from the UCB Training Center, where she will be studying with Tim Martin (best known for his work on Comedy Central, MTV2, Direct TV, The History Channel, and The Onion News Network). Christiana has previously been praised by NYC Views and News for her “comedic genius;” also for being “great looking.” Hopefully both traits will serve her well at UCB. UCB was founded in 1995 by Matt Besser, Amy Poehler, Ian Roberts, and Matt Walsh, and is widely recognized as the home of today’s funniest actors and writers. Esteemed alumni include several performers and writers for Saturday Night Live, The Office, The Daily Show with Jon Stewart, The Late Show with David Letterman, Late Night with Conan O’Brien, The Ellen DeGeneres Show, 30 Rock, Best Week Ever, Old School, Blades of Glory, Semi-Pro and countless other films, commercials and television shows. Listen to clip of Requiem for K.V. here. Learn more about the Sonic Festival and purchase tickets here. Al Gore’s latest campaign to raise awareness about climate change, 24 Hours of Reality, features the voice of soprano Christiana Little in their ad “The Fat Lady Sings.” Watch the ad here below. You can visit www.climaterealityproject.org to learn more about 24 Hours of Reality and The Climate Reality Project. Christiana Little, star of the new Off-Broadway musical Soldier’s Song, was a guest on ABC’s Tiempo, hosted by Joe Torres. Christiana was joined by castmate J.W. Cortes and director Angelica Torn. The segment aired on July 31, 2011. 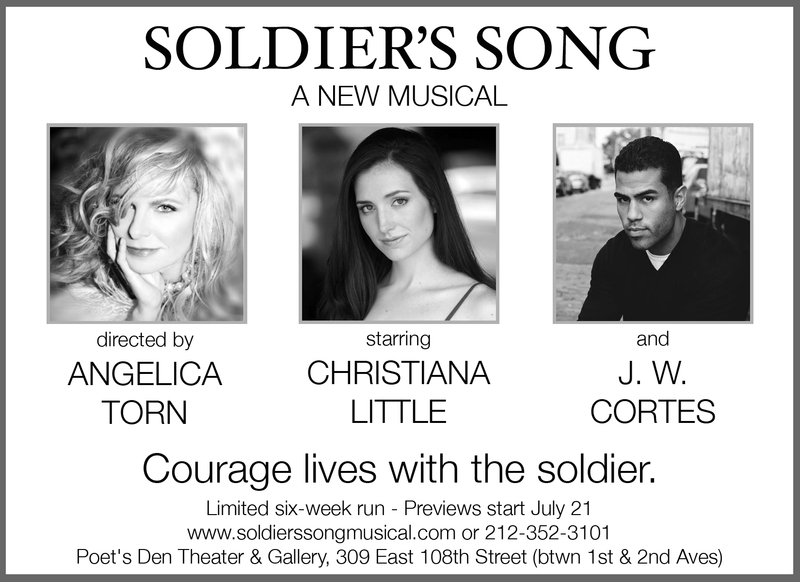 Christiana Little stars in the new musical Soldier’s Song, written by Jim Cohen & Joanne Lee Drexler Cohen. Soldier’s Song tells the story of Southern beauty Erica (Christiana Little) who falls in love with a Puerto Rican soldier named Jose (played by J.W. Cortes), only to be ripped asunder by the war in Iraq. Soldier’s Song is directed by the acclaimed actor and director Angelica Torn, board member of The Actor’s Studio, and produced by Raphael Benavides Productions. Soldier’s Song runs at the Poet’s Den Theater & Gallery, at 309 East 108th Street (between First and Second Avenues), evenings at 8:00 p.m. on July 21–24 (previews), July 28 opening night, July 29-31, August 17-21 and August 24-28, with Saturday matinees at 3:00 p.m. on July 23 and 30 and August 20 and 27. You can purchase tickets and learn more about the show at www.soliderssongmusical.com. On Tuesday, May 31 at 8pm, Christiana Little will sing in the first-ever performance of Operation: Opera at the Nuyorican Poet’s Cafe. 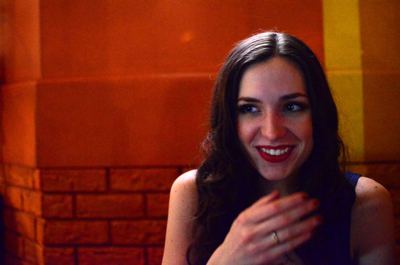 Operation: Opera, headed by Olivia Custodio, brings together a group of young singers to perform famous arias (and some less conventional repertoire) in the casual, funky, booze-infused setting of the Lower East Side’s Nuyorican Poet’s Cafe. Christiana will be singing a Mozart aria, and two ensembles with the group, one by noted Spanish composer Enrique Iglesias, and one by Rihanna. 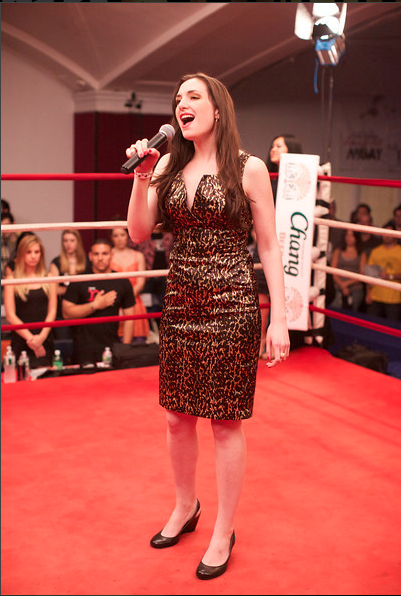 Christiana will also be rapping. Cover charge is $7. More info and directions here.